This is no better way to build team spirit and develop positive self-confidence than a canoe trip. 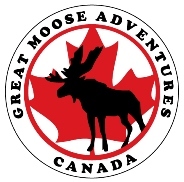 With your needs & wishes in mind, Great Moose Adventures will organize a perfect trip; including a healthy menu, all gear, canoe route and experienced guide. Click here to check out a few of our canoe routes. Prices vary pending group size, location, duration of trip and dates, please contact us for a quote.